The 9th Circuit Court of Appeals recently held that a California school board is prohibited from including prayers or Christian references at its meetings. 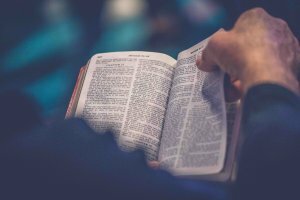 The Ninth Circuit Court of Appeals recently held that a California school board is prohibited from including prayers or making reference to Christian scripture at its meetings. This decision comes after the court upheld a 2016 injunction forbidding these practices. This decision sheds some important light on the role of prayer in school meetings. The Chino Valley school board has held opening meetings with these religious elements since 2013, but prayer meetings have been present since at least 2010. The Chino Valley school board has conducted mid-meeting prayers, Bible readings, and proselytizing. In 2014, a religious rights group initiated legal action against the school district on the basis that its meetings contained church-like elements. At one meeting, the school board president urged anyone who did not know Jesus Christ to discover him. In another school board meeting in 2015, the board discussed religious beliefs for 12 minutes. As part of its appeal, the Chino Valley Unified School District argued that its religious practices were covered by an exception that allows state prayer at the beginning of Congressional, town hall, and state legislature meetings. The Ninth Circuit, however, disagreed with this argument because children and teenagers are often obligated to attend school board meetings so attendance is not truly voluntary, and they are more vulnerable to outside influence. While two other federal appeals courts have held that prayer is off-limits in school board meetings, one appeal court has held that it is permissible when there is no student on the board. The school board in Chino did have a student on it. The board also argued that its opening prayer was a symbol of religious diversity, but the Ninth Court found that the board’s list of congregations excluded several religions. The court’s decision was based on the court’s interpretation of the Establishment Clause of the First Amendment to the United States Constitution, which prohibits the government from establishing religion. Also important in the case was a 2014 Supreme Court decision from Town of Greece v. Galloway, which held that local officials are permitted to open public meetings with prayer, and a 1971 case that found that legislation that relates to religion must not have a primary religious purpose. In response to this decision, the school has already begun to limit the use of prayer in meetings. While the area of law regarding school prayer has existed since the Constitution was created, there are some modern-day issues regarding prayer in school that have not yet been decided. Each month, by reading the Universal Life Church’s blog, you can remain up to date with the most important changes in this area of law.